Educational game to help children recognize their emotions and transmit them correctly. The emotions are part of the people, regulate and direct our behavior and thinking. Knowing how to recognize your own and others’ emotions is a fundamental skill that will contribute to your well-being and happiness. Through a fun game we will start with the little ones to work on this emotional recognition. It’s about helping them discover emotions through play. 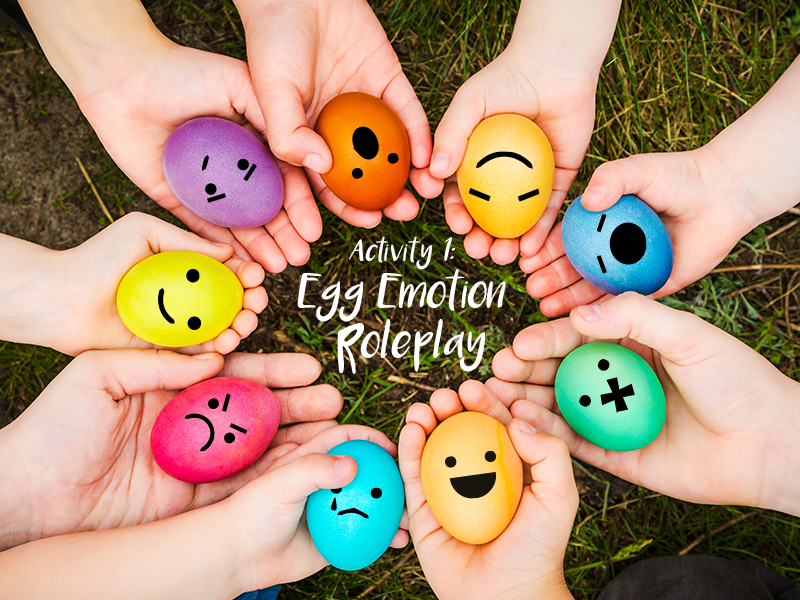 This educational game consists of analyzing different situations and identifying the emotions that children have felt, in order to have greater emotional awareness. The game also allows you to learn to communicate those emotions without harming and better understanding the emotions of others. 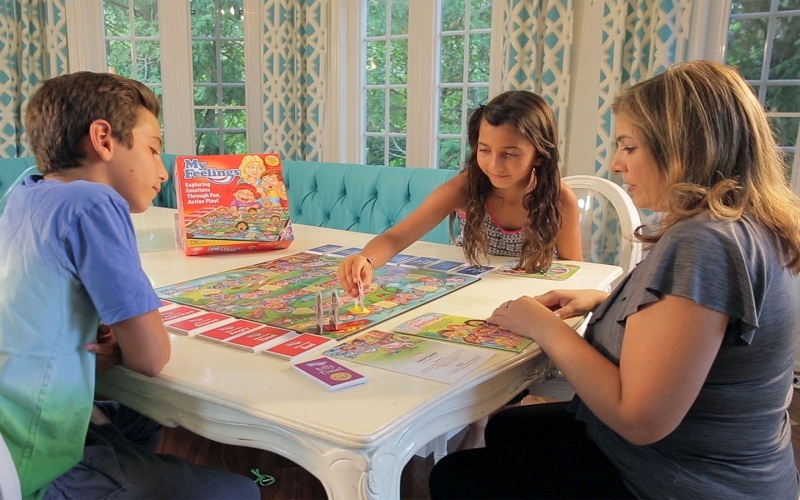 This game offers resources to children to recognize and better manage their emotions. It helps them to understand what is happening inside them and to express it in the best possible way. This is essential for them to develop their emotional intelligence and for their social relationships to be more satisfying. Print the boards, if possible on colored paper, so they look more colorful and beautiful. Another option is to decorate yourself with colors. You will need a board for each boy or girl who will play. Gather the children who are going to play the game (remember that you can also play individually, for example your child and you). Take out the board 1 (Analysis and emotional identification), and start reading the example, so that you understand what has to be done. Then, ask to explain something that happened recently. If the child is still small, you can write your things that I am telling you. If he already knows how to write, he / she can do it. When I have told you the situation, ask him to explain what he felt (physical sensations, thoughts …) and help him relate those feelings to an emotion. To do this, you can take advantage of board 3 (list of emotions). Each time you say an appropriate solution, congratulate him and record him on the board. 2. When you have finished, you can give him the “Champion of Emotions” diploma, making a little show to make it more exciting. Understand the importance of identifying emotions, thoughts and behaviors. Favor the development of emotional skills and competences. Colorful balloons and writing material. The game consists of encouraging the skills and emotional skills through an entertaining dynamic. Children can approach the identification of different emotions, knowing their emotional expression and causes that trigger them. Explanation: We will tell the participants the following : “Our body is the territory where each one of us lives. In this territory appear in the head some thoughts that make us experience certain emotions and in turn these emotions make us behave in a certain way. In this map that we have in our body the ideas occupy the territory of the head, the emotions occupy the terrain of the trunk and our actions are located in our extremities and in our face. Let’s elaborate our map of emotions. To do this, we will first reflect on the different emotions we feel, analyzing the thoughts we have and the behaviors we perform. After this explanation we distribute the cards and leave them time to reflect on the emotions. When they have completed the card, we distribute the card with the silhouette of the body, where they must place the different territories. In the head will place the thoughts, the space that each one of them has in our mind and may even have shared land. In the trunk the emotions will be located, the size of the land that each occupies, as well as its exact place will depend on each one. And finally, in the extremities and in the face, the actions we carry out will be placed. To complete the map you can use any type of material and colors. You can enter words, pictures, drawings, etc. We leave a time for each one to complete his map of the emotions and once finalized we put in common each one our lands, explaining to the others where and why we have placed each thing. You can see that although we talk about emotions common to all people, each map is different, unique and special. We will explain the following: “Emotions are common to all people, but each of us will have their way of feeling it, the thoughts that provoke them will also be unique to each person and the way of acting will also be different. Preparation: We prepare the cards and the labyrinths. The surprise, when something happens that we do not expect, like receiving a gift. The sadness, when we are sad because something we do not like. Joy, when we feel happy because something pleases us. Love, when we felt affection for other people. Fear, when we are scared of something. Anger, when we feel irritated. Disgust, when something dislikes us. Everyone at some point we feel according to different emotions. Now let’s make balloons with different emotions. We inflate the balloons and draw with each child, the emotional expression corresponding to each of the mentioned emotions, it is important that each child draws the expression in a balloon of the color he or she wants. Next, we will say a color high, for example: “Blue”, and each of the children will take the balloon of that color, as each of them has drawn the emotional expression in a different color, we find different emotions with the blue balloon. Each of the participants will place the blue balloon in front of his face, as a mask and act as if he felt that emotion. We can help them to know the expression that corresponds with each emotion. We sit in a circle and each one with his blue balloon, will go to the center to tell us why he feels that way. 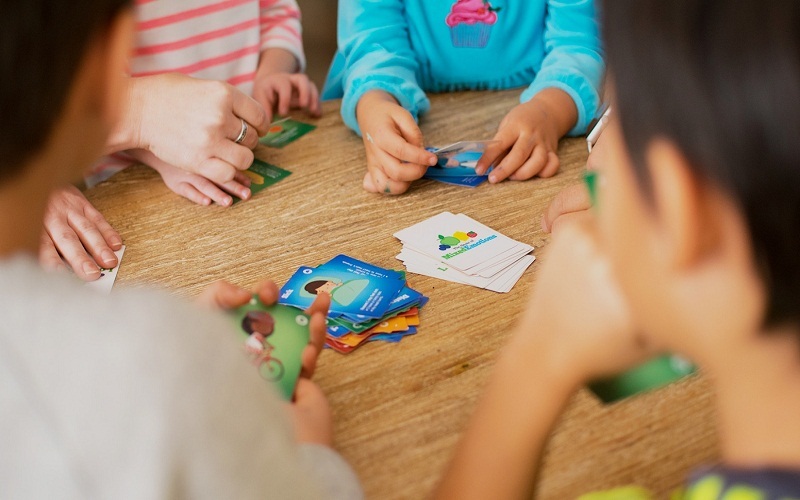 Finally, emotional education is very friendly to the game, that is demonstrated by the fact that while we play we put our abilities to control emotions or, there are education game focused on strengthening emotional competence.